Barcelona - Struggling mobile network equipment makers are eyeing a possible boom in business from the first rollout of super-fast 5G wireless networks. The European Union wants European firms to start offering 5G - seen as key to develop "next generation" services such as telemedicine or automatic driving - in 2020. The first commercial 5G roll-outs begin this year and next in the United States, Korea and Japan. Telecoms operators, who have cut spending in recent years on their networks, hitting network equipment makers like market leader Ericsson, will have to spend hundreds of billions in the coming years to develop their 5G networks. Deutsche Telekom has estimated the cost of providing 5G networks in Europe alone will be €300- to €500bn. "5G is definitely good for us but also for other industries and society," said Ericsson's chief technology officer, Erik Ekudden, at the Mobile World Congress in Barcelona. He predicted the technology, which makes it possible to download a full length film in less than a second, would provide up to 35% additional growth to service providers. "There is an even bigger upside for other industries. Our own growth will be comparatively modest by comparison," said Ekudden. Low-cost Chinese player Huawei has been the biggest winner so far. It has spent heavily on research and development and managed to undermine the position of its rivals with less expensive products. Huawei chief executive Ken Hu said at the congress that his company had signed memorandums of understanding for 5G equipment with 45 operators in Asia, Europe and North America. "The margins have dropped significantly with the arrival of Huawei on the market", said Dexter Thilien, analyst with BMI Research. This weakened an already highly competitive sector and triggered the merger of French telecoms equipment company Alcatel-Lucent and Finland's Nokia in 2016, he added. Three firms now dominate the global mobile network market - Ericsson, Huawei and Nokia. 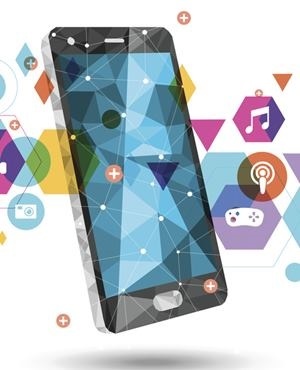 5G wireless networks promise to unlock the potential of internet connected devices, or the Internet of Things, which could create a whole new category of potential clients for equipment makers aside from traditional telecoms operators. French environmental services group Veolia for example has set up its own wireless network for its smart meters. Airports, highways, railways and other infrastructure operators are all "potential good clients of 5G frequencies", said the president of French telecoms regulator Arcep, Sebastien Soriano, in Barcelona. The new uses for wireless networks are often completely different, which is forcing gear makers to seek partners from other areas. Huawei for example has one thousand partners in other areas "to provide different use cases" for wireless networks, said the company's executive director and president of products and solutions Ryan Ding. "We are an expert of telecom industries, but we don't know much about connecting cows for example," he added, in a reference to connected farming. Mobile network equipment makers remain prudent, despite the potential rise in the number of clients. "It's a whole new business environment, there can be room for newcomers in this market," said Ekudden of Ericsson. "But scale and leverage are also important, there shouldn't be unique self-built networks for every kind of application." Their caution is based on the lessons of the past. With the arrival of 3G wireless networks, telecoms operators spent heavily, mistakenly believing they would be able to recover their investment by charging for mobile internet access.